With more and more 4K content being available lately, whether in form of Netflix or Youtube videos, latest gaming titles, or even 4K remastered versions of your old favorite games, getting a 4K Ultra HD display seems inevitable; It’s just a matter of time before you decide to get on board. 4K UHD resolution is also popular among TVs, and although it hasn’t quite yet become the new standard, it’s steadily moving towards it. In this buyer’s guide, we’ve picked the best 4K monitors for gaming, casual multimedia entertainment, professional designing, and other purposes – all of which are available at budget-friendly prices. In fact, you will notice that some 4K displays are even cheaper than some 1440p monitors, yet they offer flawless image quality and performance. We guarantee that you’ll be satisfied, as we were, with the monitors we’ve selected as long as you pick the right combination of monitor specifications for your needs. Choosing the ideal panel type, response time speed, and adequate variable-sync technology are only some of the things you must take into consideration before making the final decision. Follow our guidelines and you’ll easily pick the best 4K monitor for the money without overpaying for features and gimmicks that you won’t need. 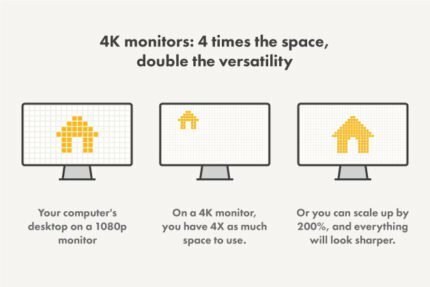 Most of the budget 4K monitors are either 24-inch, 27-inch, or 28-inch in size, with a few 4K 32-inch monitors as exceptions. Everything beyond that screen size is much more expensive. So, if you’re looking for a larger 4K resolution display for an affordable price, you will have to settle for a TV instead of a monitor. Of course, then you will have to deal with slower response time and input lag unless you opt for a gaming TV. 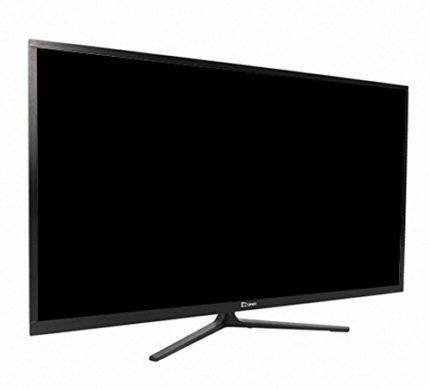 You can read more about differences between a gaming TV and a monitor in this article. Having a 24-inch 4K monitor, for instance, means you will have to scale up your interface hence losing on screen real estate but gaining on image details and vibrancy. 4K resolution on 24-inch displays requires 200% scaling in order to achieve easily readable text while on 32-inch displays 125% scaling can be sufficient. In the end, you will be able to make your own perfect ratio between the screen space and detail emphasis. Picking the adequate panel is crucial if you wish to be fully satisfied with your display. Within the budget-friendly price range, most 4K monitors feature either an IPS or a TN panel. The first thing anyone would notice between the two is the quality of color reproduction. The IPS panels have a much more accurate, consistent, and vibrant colors which make TN panel’s image quality look washed out in comparison. However, they are also more expensive. Besides better image quality, the IPS panels have superior 178-degree viewing angles while TN panels usually feature 170/160 degrees. This means that the 4K IPS monitors allow you to enjoy the flawless picture from basically any angle as opposed to the color shifts of TN panels when viewed from certain angles. Alas, the IPS isn’t superior in every way as the 4K TN monitors offer the impeccable response time speed of 1ms. Lastly, the VA panel monitors have the best contrast ratio of the lot which makes for brilliant image quality with deep black shades. The 4K VA monitors have great viewing angles and color accuracy as well, but not quite as impressive as the IPS. The response time speed of the VA panels is usually the same as the IPS, but that varies on the each panel individually. The adaptive-sync technology allows you to synchronize your graphics card’s frame rate to the monitor’s refresh rate and thus gain a more stable FPS (Frames Per Second) rate within the dynamic range. Moreover, screen stuttering and tearing is eliminated while reducing the input lag. This technology is divided into AMD FreeSync and Nvidia G-Sync, both of which require a combination of a compatible graphics card and monitor to work. FreeSync monitors don’t add extra cost to the display as they rely on HDMI and DisplayPort for the technology to work while G-Sync involves a built-in chip in the monitor and costs extra. Even though the performance is arguably identical, G-Sync monitors do have a wider dynamic refresh rate range. However, they are more expensive, especially the 4K G-Sync monitors, so we will exclude them from the list. If you already have a powerful Nvidia G-Sync compatible graphics card, check out our list of G-Sync monitors. Keep in mind that you can use a FreeSync monitor with a Nvidia graphics card, but you won’t be able to activate the variable refresh rate technology. The response time indicates the speed of pixel transition from one shade into another. It’s not to be confused with input lag which is the speed the monitor takes to react to your commands. TN panel monitors have the quickest response time speed of up to 1ms which makes them ideal for competitive FPS games. The IPS and VA panels feature a 4ms+ response time speed which causes ghosting, or trailing, of the fast moving objects in fast-paced video games. Although this effect is barely bothersome to some casual gamers, it can be critical to competitive players. 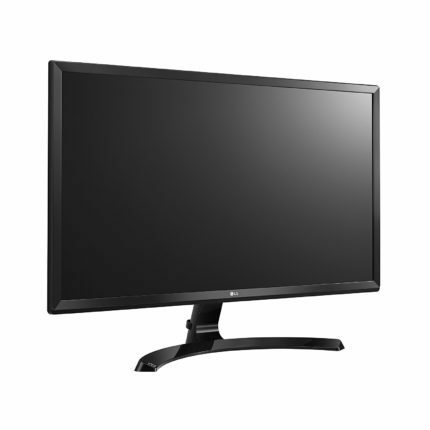 The LG 27UD58-B features an AH-IPS panel with 10-bit color support through dithering (8-bit + FRC), 99% sRGB color gamut coverage, perfect viewing angles, and solid 5ms response time speed. The design consists of a gorgeous black glossy cabinet with matte 3H anti-glare screen coating. It’s VESA mount compatible, but tilt-only by -2, 15 degrees. Connector ports include two HDMI 2.0 and a DisplayPort 1.2. 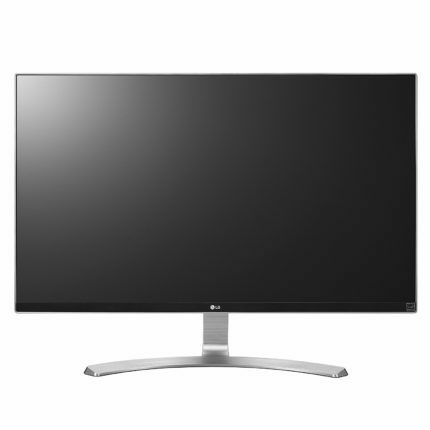 LG is known for including a bunch of useful features in their monitors. The LG 27UD58 offers AMD FreeSync with the 40-60Hz range that can be further widened by creating a custom resolution. Other game-enhancing features include the Black Stabilizer which increases visibility in the dark scenes and the Dynamic Action Sync for lower input lag. The On-Screen Control software allows you to adjust all of your OSD (On-Screen Display) settings in a desktop application. You can also tweak other features such as the Screen Split for simplified multitasking activities, the 6-axis color adjustment, Picture by Picture/Picture by Picture modes, the Dual Controller, and you can assign picture presets to certain applications including FPS and RTS gaming profiles. 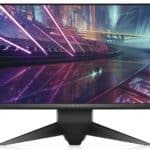 This budget 4K gaming monitor is also available as a 24-inch version, the LG 24UD58-B which is not only the cheapest FreeSync 4K monitor, it’s the most affordable 4K monitor altogether. Both monitors offer stunning image quality and flawless performance under 400 USD. They’re factory-calibrated, flicker-free, and a real eye-candy. If you’re looking for the best budget gaming monitor with 4K UHD resolution, the ASUS MG28UQ is the one. It boasts the rapid 1ms response time, plenty of gaming features, and an appealing price for its 28-inch screen size. Although its TN panel has limited viewing angles (170° horizontal, 160° vertical), you won’t be affected by it as long as you’re sitting in front of the screen. 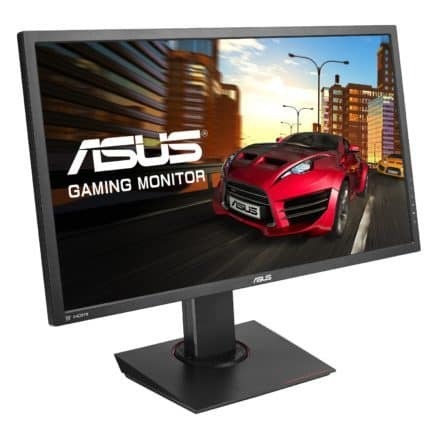 Besides, the ASUS MG28UQ 4K gaming monitor offers extensive ergonomics such as 150 mm height adjustment, pivot, 60 degrees swivel, VESA mount compatibility, and -5, 20 tilt; So, you will be able to easily match the viewing angles if you choose to watch the screen from a distance while watching a movie. The ASUS EyeCare Technology provides the flicker-free screen and the low blue light filter which allow for long gaming sessions without causing eye fatigue. Other gaming features include GameVisual which consists of pre-calibrated picture presets for FPS, RTS/RPG, and Racing genres. The ASUS GamePlus offers custom crosshair overlay for better precision in FPS games, an on-screen timer, and an FPS counter. Connector ports include two HDMI 1.4, one HDMI 2.0, a DisplayPort 1.2, and two downstream USB3.0 ports for convenient connecting of your gaming keyboard, mouse, or controller devices. It also features 2x2W built-in speakers. Due to its affordable price and excellent performance, the ASUS MG28UQ is also the best 4K gaming monitor for PS4 Pro, Xbox One S, and other 4K capable consoles. Keep in mind, however, that lower resolution monitors with higher refresh rates offer better gameplay experience in competitive and professional gaming. Until 4K 144Hz monitors such as the Acer Predator X27 are released, hopefully by the end of 2017, you can check our list of all the gaming monitors arranged by refresh rates currently available. The Dell S2817Q display is considerably cheaper than the previously mentioned 28-inch 4K monitor, the ASUS 28MGUQ, yet it offers almost equally fast response time at 2ms and same 170/160 viewing angles, but it has no AMD FreeSync technology nor exclusive gaming features. Instead, the Dell S2817Q PC monitor focuses on convenient connectivity and more casual multimedia entertainment. It features two built-in 9W speakers with a subwoofer for excellent sound quality, two HDMI ports with MHL support for content streaming from the compatible mobile devices, a DisplayPort, a miniDisplayPort, and two USB 3.0 ports. It has a beauteous design with thin bezels and matte anti-glare coating, but it’s tilt-only (-5, 21 degrees) and has no VESA mount compatibility. Thanks to its quick response time, it’s great for competitive gaming as well – although if you have or plan to get a FreeSync compatible graphics card, we recommend you go for either the LG 27UD58 or the ASUS MG28UQ. 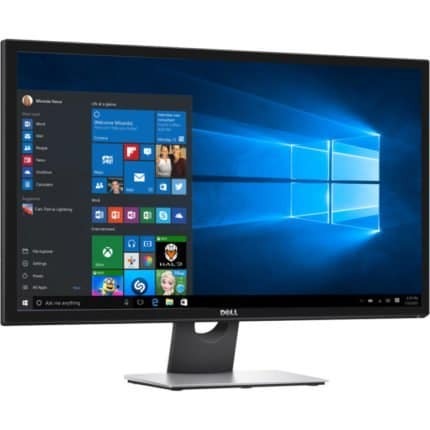 If you don’t game a lot, the Dell S2817Q is great due to its extensive connectivity along with the Picture in Picture and Picture by Picture modes, high-quality built-in speakers, and an attractive price tag for its screen size and performance. The Samsung U28E590D is yet another similarly priced 28-inch 4K resolution display. It also features a TN panel, but with a faster response time of 1ms and FreeSync, however, it may be unavailable. The Samsung U24E590D 4K monitor is a 24-inch version of the monitor, but it’s more expensive due to its PLS panel, essentially an IPS, with perfect 178-degree viewing angles, accurate and consistent colors, and solid 4ms response time speed. Both monitors offer one DisplayPort 1.2, one HDMI 1.4, and one HDMI 2.0. They are tilt-only with 75 x 75 VESA mount, flicker-free, have a blue light filter, and feature FreeSync though with a considerably lesser dynamic range (~54-64Hz). So, if you want to make use of your FreeSync compatible AMD graphics card, we recommend you go for the LG or ASUS 4K monitors we’ve mentioned. 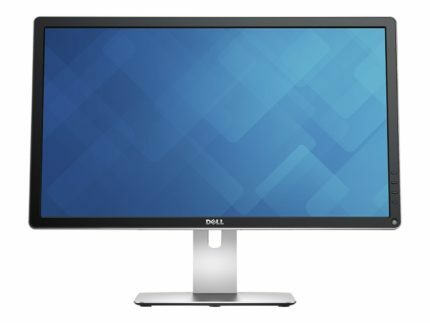 If you’re looking for a high-quality 4K monitor for photo editing, the Dell P2415Q 4K screen is an excellent yet affordable display, as well as its 27-inch version, the Dell P2715Q. Both of these monitors are factory-calibrated to Delta-E below 3 for perfect color accuracy and consistency. These come with calibration report of the 99% sRGB color gamut and deliver flawless image quality straight out of the box. Moreover, they feature a versatile design with full ergonomic support (height adjustment, tilt, pivot, swivel, VESA) and extensive connectivity including an HDMI 1.4 with MHL, four downstream USB 3.0 ports, a DisplayPort, a miniDisplayPort, and a DisplayPort-out for daisy-chaining. The screen is coated with a 3H anti-glare matte finish. Lastly, with 6ms response time speed, designers can take a break and enjoy video games and movies with minimal ghosting. The BenQ BL2711U is an ideal and cost-efficient 4K UHD monitor for animators, graphic designers, and video editors. 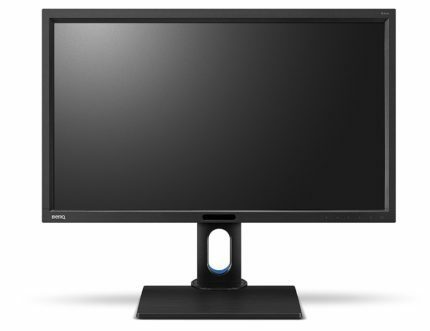 Besides offering flawless 10-bit color rendering with 100% sRGB and Rec.709 color gamut coverage, the BenQ BL2711U display features exclusive Animation and CAD/CAM modes. The former improves the visibility of shadows while animating while the CAD/CAM mode features increased contrast for 3D objects. Connector ports consist of four USB 3.0, an HDMI 1.4, an HDMI 2.0, and DisplayPort 1.2. The panel also features 2x3W built-in speakers, full ergonomic support, and solid 4ms response time speed. Since popular-brand 4K monitors that surpass 28-inches in size cost over 800 USD, we’ve excluded them from the list, but we do have a buyer’s guide on 4K monitors for those with a bigger budget. Luckily, there are some Korean 4K displays available that offer immersive image quality without costing a fortune; meet the QNIX 3216R. It features an IPS panel with 5ms response time speed, 100% sRGB color spaces, vibrant image quality, and sharp text on both scaled interface and native. As far as connectivity is concerned, there are two HDMI 1.4 ports, an HDMI 2.0, a DisplayPort 1.2, SPDIF-out, and a USB 3.0 port. You can tilt the screen a bit, but other than that and the VESA mount there are no extra ergonomics. It does come with a remote for easy OSD management. The only downside of the panel is the rather high ~30ms input lag which makes it repulsive for competitive gaming. For casual gaming, movies, and any other multimedia content, the QNIX UHD3216R monitor is simply amazing for its price. 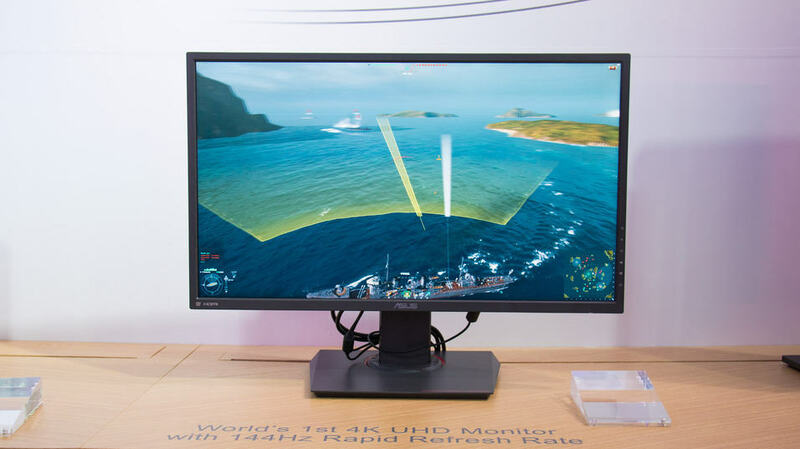 The monitor also features AMD FreeSync within 35-65Hz once configured; enabling FreeSync via DisplayPort also significantly reduces the input lag to around 15ms which makes it suitable for intense and fast-paced gameplay. It has an attractive design with 0.5-inch thin bezels and textured finish on the back. In addition, there are 2x5W built-in speakers, the screen is flicker-free, and it’s the cheapest 32-inch 4K monitor by far. For an extra $100 more than you would spend on the QNIX 3216 display, you could invest into the AOC U3277PWQU and it would be quite worth it, to say the least. This 31.5-inch VA panel offers a high-contrast (3,000:1 static) image quality with intense and lifelike colors. It’s the only 4K VA panel available below 40-inch screen size, and it’s a top-notch choice for those who prefer the ‘wet’ look of VA panels. 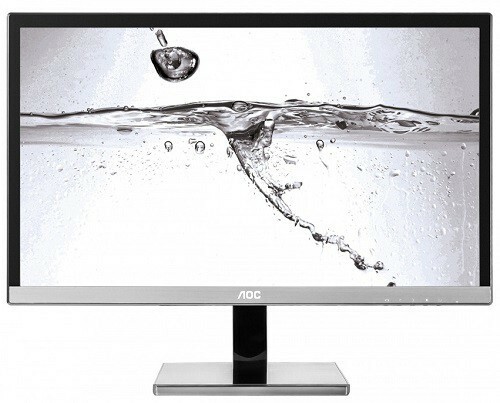 The AOC U3277PWQU 4K monitor does have a bit thicker bezels at around 0.8-inches at the top and sides, and 1 inch at the bottom, but its brushed metal finish on the bottom bezel and the base make it look more expensive than it actually is. It also offers impressive ergonomic ability with height adjustment up to 180mm, 165° swivel to both directions, pivot, -5,24 degree tilt, and VESA mount compatibility. The panel offers quick 4ms response time, 178-degree viewing angles, and true 10-bit color reproduction that covers 100% of the sRGB color space. Connectivity consists of a Dual-Link DVI, a VGA, a DisplayPort 1.2, an HDMI 2.0 with MHL, two USB 2.0 ports, two USB 3.0 (one of which has fast charging capacity), and 2x3W built-in speakers. The screen surface is covered with a matte anti-glare finish which eliminates issues with the reflection but makes the image a bit hazy. Overall, it’s the best 4K monitor under 500 USD for everyday activities, yet it offers a huge 31.5-inch screen and has a stunning image quality. Hopefully, you’ve managed to find the perfect display that fits your needs and budget, whether you’re looking for the cheapest 4K monitor or the one to save up for – you can check out more thorough reviews of these monitors by typing them in the search bar. 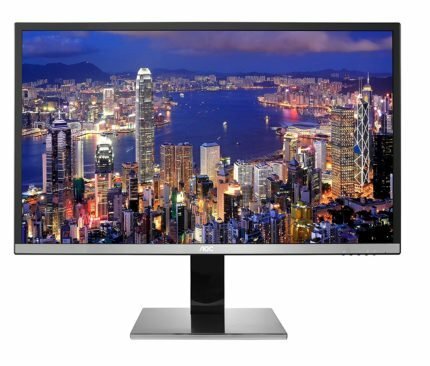 Also, feel free to ask anything in the comments below or share with us an excellent 4K budget monitor we may have missed. For best budget gaming monitors available at the moment, we invite you to visit our gaming monitor buyer’s guide. We also have a wider list of 4K monitors with HDR10 monitors, 4K G-Sync gaming monitors, 4K HDR monitors for gaming consoles, etc.